Looking for - hopefully - people who've had experience with a fixed power scope on a 30-30 lever action rifle. Today I realized two things. One: my Marlin is a very precise rifle. Two: I can't see past 50 yards worth a crap any more. 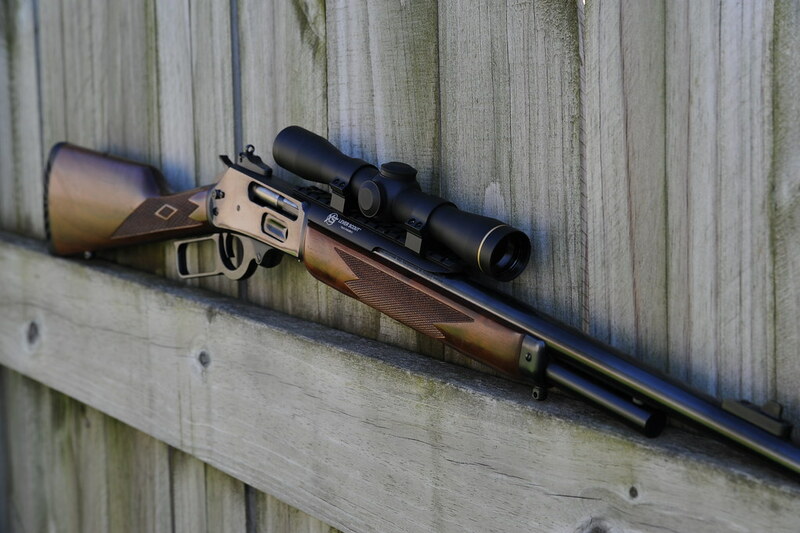 I want to keep it light and handy, so as not to negate the whole object of having a lever gun. But I also want to be able to see what the heck I'm shooting at. It is hard to beat a 4x scope imho. I have an old Bushnell 4x banner I believe it is. Probably at least 40years old, maybe more. Made in Japan optic. Very good scope for $45 tyd if interested. I was going to put on a .22-250 but just cannot seem to find one I can afford these days. 4x would be perfect for that cartridge. For more $ a Nikon prostaff would be really good too. I do not have a lot of experience scoping a LA. I believe that is what scout scopes are all about. Mounting the scope quite a ways forward. You may want to look into that some. Good luck. I personally prefer a Scout setup but Im probably int the minority. This setup adds very little weight, is fast and I can break clays at 100 yards with it. Fixed 2.5 power. Another great option is an illumintaed 1-4 variable. This will allow you to zoom for further shots or keep it at 1 power with illumination on for fast movers that are close. This setup I ahve below is similat being a 1.5-5 Scout scope. This past Deer season I shot a coyote at 30 yards that was running at full speed and 5 minutes dropped a deer at 128 yards. Something like the Leupold VXR 1-4 or Leupold Mark AR 1-4.